Agnès Varda is a prolific film director, photographer, and artist whose cinematic career spans more than six decades. Today she is best known as the innovative “mother” of the French New Wave film movement of the 1950s and '60s and for her multimedia art exhibitions. Varying her use of different media, she is a figure who defies easy categorization. In this extensively researched book, Rebecca J. DeRoo demonstrates how Varda draws upon the histories of art, photography, and film to complicate the overt narratives in her works and to advance contemporary cultural politics. Based on interviews with Varda and unparalleled access to Varda's archives, this interdisciplinary study constructs new frameworks for understanding one of the most versatile talents in twentieth and twenty-first century culture. Rebecca J. DeRoo is Associate Professor in the Department of Performing Arts and Visual Culture at the Rochester Institute of Technology and the author of The Museum Establishment and Contemporary Art, recipient of the 2007 Laurence Wylie Prize in French Cultural Studies. 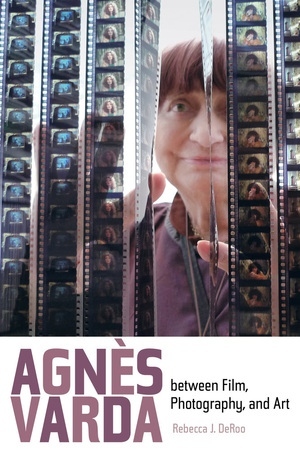 She cocurated the retrospective Agnès Varda: (Self-)Portraits, Facts and Fiction at the George Eastman Museum (2016).